With production car engines getting smaller, and in many cases less inspiring by the day, it's always refreshing to see big numbers - both in cubic capacity and horsepower - making it to the sales brochure stage. 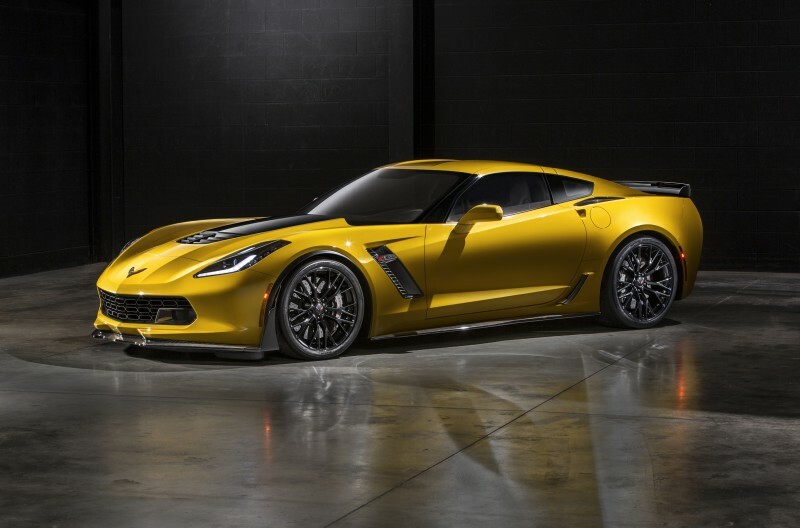 Chevrolet's highly anticipated 2015 Corvette Z06 is machine with some serious performance credentials, but now - less than six months out from its public release - GM has revealed just how potent it will be. How does a supercar-rivaling 650hp sound? Initially, 625hp was the number being floated by GM, but this new revelation really ups the ante. Not only will the new Z06 become the most powerful GM production car ever produced, it's outputting more than the McLaren 650S (641hp), SRT Viper (640hp) and the Lamborghini Huracán LP 610-4. 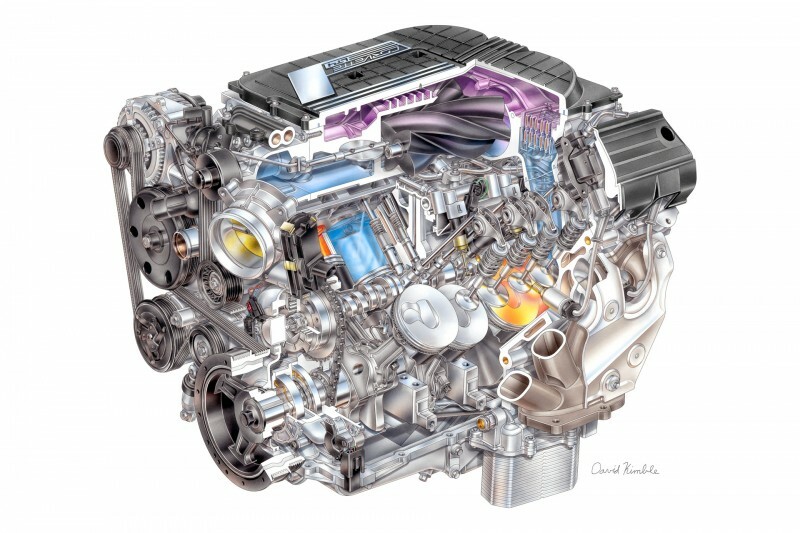 At the heart of the Z06 is the General's new LT4 engine, which we now know a little bit more about. The supercharged 6.2L V8 unit is based on the same architecture of the Gen 5 LT1 small block used in the Corvette Stingray, but it's been suitably specced-up to handle the boost injection a 1.7L blower provides. Among other upgrades there's Rotocast A356T6 aluminium cylinder heads, forged pistons and rods, and lightweight titanium intake valves. On top of the peak 650hp (485kW) figure which is realised at 6,400rpm, a crushing 650lb-ft (881Nm) is developed at 3,600 rpm. 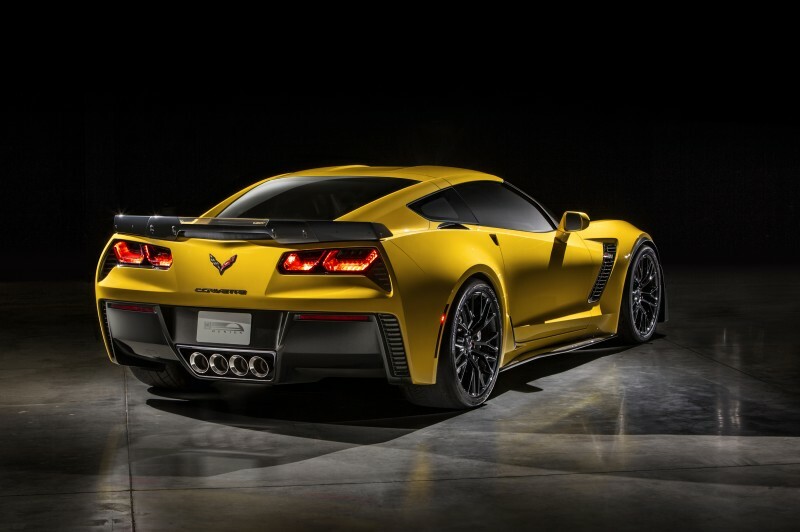 That's a 40 percent improvement in peak torque and 29 percent improvement in horsepower over the last Z06?s 7.0L LS7 engine. For the driveline there's an all-new 8L90 eight-speed automatic transmission that GM says shifts as quick at the world's best DCTs, or - and we're loving this part - a seven-speed manual gearbox option. With purposeful-looking aero, a wide body draped over 19×10-inch (front) and 20×12-inch (rear) wheels, performance suspension and a Brembo brake package, this is going to be good.